DELAYED SURFACE MARKER BUOY DIVER Be seen & safe on the surface. This invaluable skill is used right from the PADI Open Water Course. No ascent should be attempted without showing your position by deploying a surface marker. Try out different types of buoy and a variety of deployment methods during the course. The fun part of this course is giving your dive skills the polish you may not have thought possible. How to stow a marker buoy on your scuba gear to stay streamlined. Different types of SMB and reel. How to safely rig and deply an SMB in all water conditions. 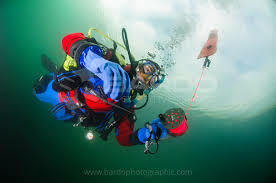 The best methods of towing a marker buoy during a dive. How to cope with currents while using an SMB. Surface marker buoy deployment is a must, and often a requirement when boat diving, so why not team this specialty with the PADI Boat Diver Specialty or on one of our dive trips? Contact us to take the Delayed Surface Marker Buoy course.